Maybe you were being rude or perhaps you are continually dealing with someone who is easily offended and overreacts to everything. 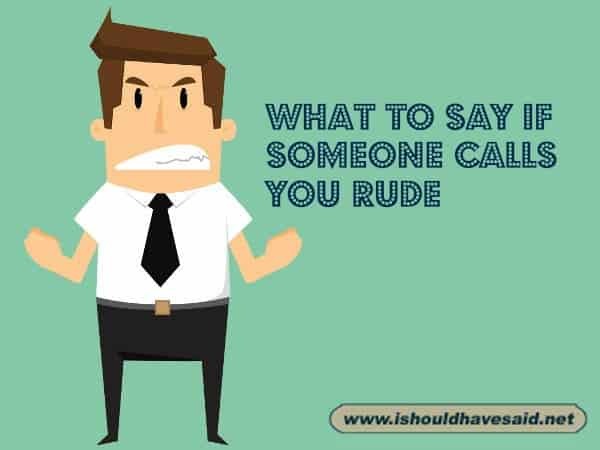 If you are continually being told that you are rude for a certain behaviour, it’s probably time to stop. If you were being rude apologize, own whatever you did and move on. If you are dealing with a manipulative person who is overreacting, perhaps it is time to call them out on their behaviour. 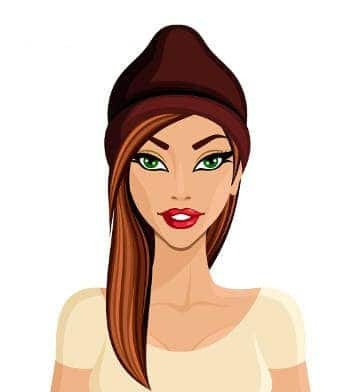 You have to consider if this is the kind of person that you want to spend time with or have in your life. Next time someone calls you rude and you feel they are being overly sensitive, use one of our clever comebacks. I'm sorry. Did the middle of my sentence interrupt the beginning of yours? 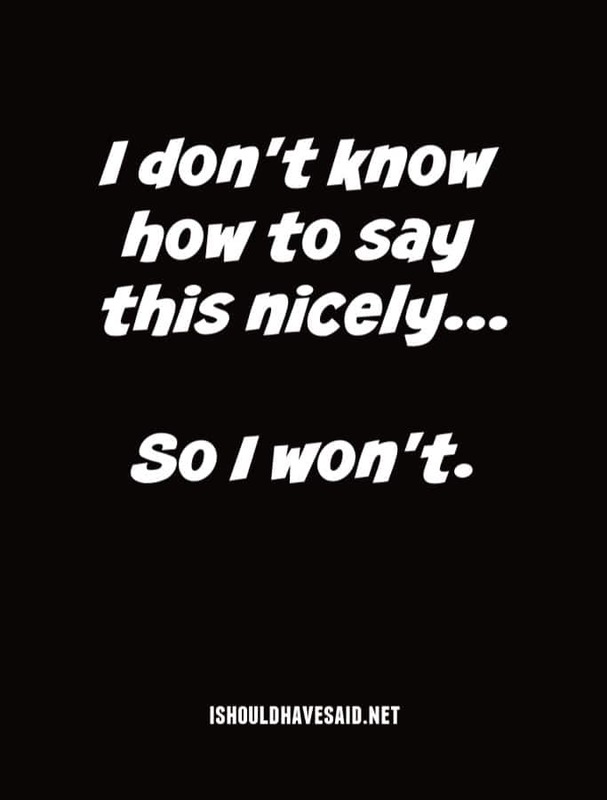 I'm not rude. I just speak what everyone else is thinking. Are you agitated and confused? My work here is done! Hey, I don't sugar coat anything. I'm not a bakery. Everyone brings happiness to a room. Some when they enter, some when they leave. 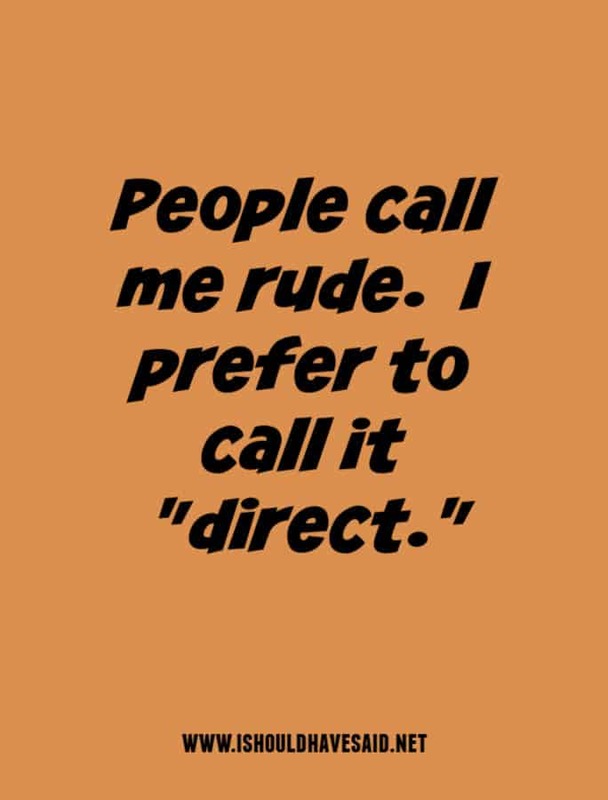 Got any comments, questions or tips for dealing for dealing with someone who calls you rude? Share them in the comments below. What about I’m not rude, I’m honest. It’s not rude, it’s the truth. How about; Rude! That depends on the perspective.